Defender Ryosuke Adachi, recently departed from JEF Reserves, has signed for ambitious Iwate Prefectural League Division 4 side FC Ganju Iwate. FC Ganju, formed after their failure of Grulla Morioka to reach the JFL at the end of 2005, have only just started competing in league football and Adachi joins a squad packed with Regional League, JFL and even J-League experience. The two Iwate League matches that the club have played so far this season have ended in 12-0 and 17-0 wins, against Iwate Teachers and the Bank of Iwate respectively. Goalscorers have included Yuuki Okamoto, formerly with Mito Hollyhock, and Brazilian ex-FC Ryukyu defender Cristiano Akio Ito. From Miyagi prefecture in the Tohoku region of northern Honshu comes news of yet another club currently in the lower reaches of Japan's footballing pyramid - but with their sights set on the J-League. Cobaltore Onagawa are riding high at the top of Division 1 of their prefectural league competition, despite the fact that their home town is a small and comparatively isolated coastal community of barely 10,000 people. 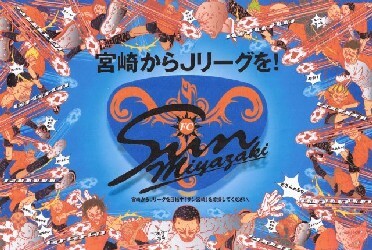 Indeed, the football club acknowledge that one of the reasons why they were formed in early 2006 was with the intention of encouraging young people through football to remain living locally, as a means of countering the broad Japanese social issue of rural depopulation (their English-language slogan is "We create a new fun for a new active lifestyle"). Appointed as coach for Cobaltore's debut season was former Japan international midfield player Nobuo Fujishima, who spent a lengthy playing career in the pre-J-League JSL at the NKK company team and whose subsequent coaching career has included a number of years in charge of JFL outfit YKK AP. 2006 proved to be a successful start for the fledgling club, as they won every match of their Ishinomaki City League campaign before gaining promotion to the Prefectural League for 2007. Like many teams in a similar position across Japan, Cobaltore are aiming to reach the regional Tohoku League next year and the JFL by 2010 or 2011. A New Challenge From Morioka? Regular readers of JNFN may perhaps recall the name Shinichi Muto being mentioned here before. The diminutive former JEF United and Oita Trinita midfielder had quite the J-League and returned to Iwate, his home prefecture, to coach and play for a new team with high ambitions. 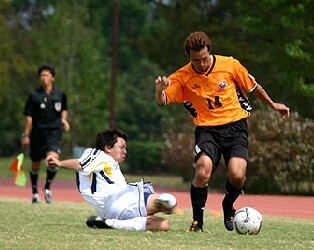 Grulla Morioka subsequently scraped into the Regional League Championship Winners' Play-off Tournament at the end of 2005, but failed to make it to the JFL and in the midst of all the fall-out, Muto quit. But he has recently emerged once more, right under the noses of a Grulla club trying to concentrate on a renewed attempt at seeing off the considerable challenge of the Tohoku region's top side, TDK Akita. For Muto has found employment with a new team whose aim has to be considered to be at least in part to undermine Grulla's ambitions - for FC Ganju Iwate are based not just in the same prefecture as Muto's former club, but the same city. FC Ganju were formed as recently as March and thus far have concentrated on playing friendlies and in the qualifying rounds of the All-Japan Shakaijin and the Emperor's Cup. Their four competitive matches to date - against smaller Iwate teams such as Pit Bull and Morioka Central High School - have all resulted in easy victories, which although they did end up on the wrong end of a 9-0 pasting by local J2 giants Vegalta Sendai is not surprising when one considers that, as well as Muto himself as player-coach, FC Ganju include in their squad players with experience of top-level regional football. Brazilian keeper Alex, for example, has moved from Shizuoka FC in the Tokai League - along with his compatriot, striker Enrique - and elsewhere they feature players previously with Fagiano Okayama and FC Central Chugoku, not to mention Grulla. Another goalkeeper, Kenji Tanaka, has spent his career to date in the J-League itself, most recently with Sagan Tosu but previously at J1 club Omiya Ardija. The formation of FC Ganju is another example of the cut-throat ambition that can be found in pockets across Japan, as new franchises try their luck at becoming the next team to burst onto the scene and make a play for a J-League place. 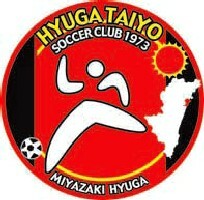 In places such as Yamaguchi in the south, Chugoku Leaguers Renofa Yamaguchi have the blessing of the local FA effectively to represent the prefecture in seeking to bring professional football to their area, and as such it is unlikely that another club will be established there with the same aim. But in Iwate - as in Nagano, where as has been closely documented on these pages, Nagano Elsa and local rivals Matsumoto Yamaga are locked in a battle to achieve prefecural and regional supremacy before they can assume a position on the national stage - the picture is far more confused. For as Grulla Morioka seem destined to finish runners-up to TDK in the Tohoku League this season, FC Ganju Iwate are now waiting in the wings to take over as local challengers. News from Miyazaki prefecture in Kyushu that Sun Miyazaki - who finished last in the 2005's Kyushu League with a meagre three points to show for their efforts - are re-launching for 2006 with all guns blazing. The message is that they're putting the disasters of 2005 behind them, specifically citing the calamitous 14-2 crushing at the hands of New Wave Kitakyushu as a painful memory to be erased. After relegation, however, the club find themselves in the Miyazaki Prefectural League under new coach Ryo Akiyama, who is not quite yet 32 years old. Akiyama's stated intention is to retain only eight or so of last season's squad, recruiting new players from local colleges and via a selection process to be staged on two dates during February. In doing so, Sun aim to win the Prefectural League and bounce straight back to the Regional level. The club will be keeping for 2006 the slogan The Localism as a means of grounding themselves in the community, but the most surprising aspect of the messages being communicated prior to what is a nervously anticipated season for them is that they're expressing their dream of bringing J-League football to Miyazaki prefecture. Competing with Sun in the Prefectural League of 2006 will be reigning champions and likely challengers Nobeoka City SC and runners-up Aya SC, together with Rakushu Club, Southern Cross FC 1974, Dinamo Miyakonojo, Miyazaki Prefectural Government SC, Hyuga Taiyo 1973 and either Nishimorogyu Dreams or Tsuno FC. Hyuga Taiyo - is that a boomerang in your pocket?